Packaging specialist Nelson Joyce & Co describes the process of hand-wrapping pallets as a productivity breaker for businesses that need to palletise goods frequently. Many businesses across the manufacturing spectrum continue to hand-wrap palletised and skid loaded goods, not realising the cost disadvantages it brings to the company. Presentation, logistics problems, workplace strain injury and ineffective use of labour force are all potential casualties of persisting with manual options. 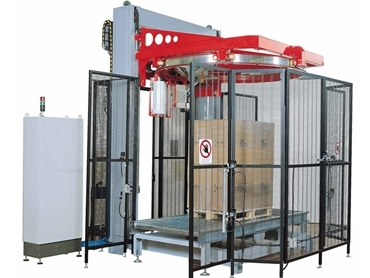 According to Managing Director Mr Nelson Joyce, most businesses have transitioned to machines helping personnel in duties such as cleaning, lifting and labelling among others; however, they still persist with hand-wrapping using stretch wrap or pallet wrap. He points out that the amount of time it takes to hand wrap a pallet, the poor quality it provides on corners, and the potential for injury it creates are some of the negative consequences of hand-wrapping on the shop floor. Besides, it takes away at least one perfectly trained company employee from more productive duties elsewhere in the company. Mr Joyce believes that a lack of understanding or education on the issue has so far prevented these businesses from being aware of just how unproductive and costly hand wrapping is for their operation. The argument put forward by Mr Joyce is particularly relevant in light of a recent study made by WorkSafe Victoria on the potential problems caused by manual stretch wrapping of pallets. When this is done manually, it requires poor postures and movements, and often high force. The bureau also notes that it can cause musculoskeletal injuries particularly to the back, shoulders, knees, wrists, fingers and forearms. These injuries can occur suddenly or develop gradually over time. To reduce the risk of injuries when stretch wrapping, WorkSafe Victoria suggests installing automatic pallet wrappers, semi-automatic stretch wrapping machines, or vacuum-sealing or shrink-wrapping devices. Mr Joyce comments that Australian industry is now beginning to notice the potential dangers and costs of hand-wrapping pallets.